Touring can be both fun and educational. And so it is with the Palina Greenbelt Ecotour that takes students and visitors out into the waters off of Barangay Cagay in RoxasCity to appreciate the reclamation of the PalinaRiver after it was silted up from the excessive number of fish pens in the area. 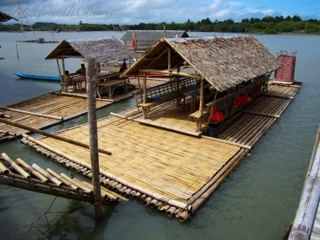 This tour is conducted by the fisherfolk who sacrificed their own fish pens and livelihood in order to save the river. And now they are our guides on this barge trip as they unravel the story of the rehabilitation of this river and the rich mangroves that were planted to stem floodwaters and nurture fish, bird and plant life.